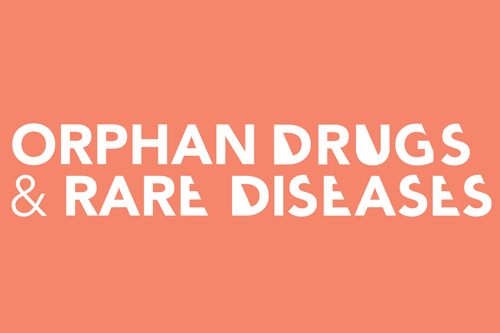 Rare diseases and orphan drugs are characterised by a wholly different set of numbers than more common conditions. For a start, there are around 7,000 rare diseases yet only around 500 orphan drugs with which to treat them, so the area is massively under-served. These diseases are generally experienced by a very small number of people (anything from 1 in a 1,000 to 1 in 200,000 depending on where you live. So, even on the face of it, there is a whole world of small numbers that marks it out as a special case vs. 'standard' pharma. As market researchers will affirm, small numbers can be problematic. A small number of people observed doing almost anything - especially if it is unusual behaviour - can be consigned to the 'outlier' pile, or not deemed significant enough from which to extrapolate. We are taught to refrain from making decisions based on an 'n' equaling anything in single digits. And we, as a society, tend to feel relieved when our decisions (in life as well as business) are understood and backed by the 'majority'. Indeed, 'minority' support is often viewed negatively. Some of these issues are true also of rare diseases, and for those whose job it is to communicate about them. Pharma marketers in this area know that the rewards that can be reaped from successfully developing and commercialising a new orphan drug can be high, but so are the risks - and these continue even once the drug manages to secure approval. One major early hurdle is that you simply can't assume many people will know what you're talking about. Despite best endeavours to isolate a targeted group of specialist HCPs, you're still faced with a long list of people - often gatekeepers to any change you're trying to effect - who may have limited or no knowledge about your disease or associated therapy. The little-known yet deeply debilitating and life-shortening disease of pulmonary arterial hypertension (PAH) is a case in point here. Although it's far from the rarest condition, it's still pretty unusual - and, as such, PAH patients are often only diagnosed quite late in the day. In the UK, there are only around 40 specialists - a mixture of cardiologists and respiratory experts in just a handful of centres around the country. As such, it's highly unlikely that an undiagnosed PAH patient will get to see these experts very early on. They'll usually have to endure a raft of tests from more 'generalist specialist' physicians to exclude other conditions - sometimes as serious as lung cancer. And because PAH is only really diagnosable via right heart catheterisation, it tends to be last on the list to exclude, despite having mortality rates similar to - if not worse than - many cancers. Another problem is that PAH patients don't usually look that ill in the early/mid stages of the disease. Indeed, even people diagnosed with PAH to whom we've talked say how frustrating they find it that their friends and colleagues don't see them as ill or understand how not being able to breathe properly fundamentally affects their life. Moreover, many people hear the word 'hypertension' and think it's just a bit of high blood pressure and so not exactly uncommon. The chances are that these patients will languish in primary care, not wanting to make a fuss or even being sure that they have a genuine condition. They'll normalise their progressive disability over time - to the extent that we heard of one cardiologist who thought, from their conversations, that his (diagnosed) patient was reasonably stable - until she asked if she could have a wheelchair. So anyone wanting to communicate with physicians in this area has to overcome the adage of 'hear hooves, think horses (not zebras)' when it comes to diagnosing patients. Patients won't have heard of the condition, GPs probably won't know much about it, and the majority of cardiologists and respiratory physicians are unlikely to spot it early or be au fait with advances in therapy. It's just not what they have to think of first, from an understandable 80/20 Pareto-style view of how they can help the majority of people. If you then factor in the other old adage 'in the land of the blind, the one-eyed man is king', you then realise that little-known conditions are fertile ground for reactionary thinking and behaviour. It's astonishing how many older therapy options are considered 'targeted' and able to change the course of the disease - when in fact there's little clinical evidence to this effect, and - given the small number of patients involved - often based on little personal clinical experience. So yet another factor that the marketer has to account for is the level of misinformation, on top of the prevalence of sheer lack of information. Small numbers can also radically affect the way in which even specialists prescribe. 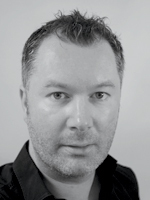 Subscribers to the 'behaviouralist' school of thought will recognise that when you are one of just a handful of experts in a market, with just a handful of patients - many of whom will already be involved in clinical trials, the extent to which you are viewed by your peers becomes more important. Your recommendations and prescribing decisions will be more heavily scrutinised by the few others in the know. They will not only be more aware of what is happening at a national level, they will probably know the names of everyone involved. What all this means, for pharma companies and their communications specialists, is that you have to think carefully about how to approach the few in the know - as well as those along the way who have much less of a clue. In the inner physician circles, you have to be meticulous about ensuring your messages are gauged to move at precisely the right speed - too whacky and you'll be seen as a maverick, too slow and you'll be deemed a me-too or the emperor's new clothes. And, what's more, if there's only a handful of reasonably communicative prescribing specialists in the picture you'll probably only have one chance to get it right. It's not as if you can test a message in a few district general hospitals and then move on. Moving towards the outer circles - and by this I mean more generalist physicians as well as undiagnosed patients - there is a big opportunity to help. The line between scare-mongering and assisting more rapid diagnosis may be fine, but your scope for involvement doesn't have to stop at that. Fewer people involved often equates to less money available for awareness, support and research. How can you support a specialist centre in meaningful ways? How can you help increase the knowledge of a disease that's near the bottom of most people's agendas? Thinking about diagnosed patients - who are often more savvy than generalist physicians about their disease - how can you help people living in the community with a disease that they find hard to tell other people about? Don't forget that many of them will already be signed up for trials and so quite possibly well informed. But it's not just about them - for instance, how might you help them talk to their employers about a condition that they may never have heard of and won't immediately be able to understand? What about their carers - often a neglected audience in any case. They may feel even more isolated than those who care for people with more recognisable conditions. What can you do at a human level to help them? Quite possibly it's something that's necessarily several steps removed from blatant promotion, but - given the small numbers of people involved - good news travels fast. From a more traditional, promotional point of view, you will probably need to base your channels and sales resources geographically around the main centres of excellence. With often just a few of these, it makes sense to take a narrower and deeper approach to relationship building - especially as these customers will be responsible for the bulk of prescribing activity. So think less about journal ads and mass-market comms, and more about the few, very well-trained reps who can be their right-hand men. Think about investing in bespoke technologies to help physician and patient to stay in touch and monitor their condition. Think also about what the physician will need in order to justify initial or even continued expenditure on drugs that come at a premium. This may sound like a lot of investment in just a few people, but the lessons from history are quite clear. If you 'try your hand' at a condition that is populated with people who have either been ignored, frustrated or had to fend for themselves and then leave after having promised support, you will receive short shrift. If, however, you take the area seriously and commit to helping out that community in the long term, recognising that you really do have to roll your sleeves up and get to know the individuals, there's a good chance that you'll help turn something small into something much bigger and more worthwhile.